What vast majority of students have tagged the ‘impending mess’ that may result from the disagreement between the Management of Obafemi Awolowo University and the Non Academic Staff Union (NASU) may have been averted following the intervention of the Ooni of Ife, Oba Okunade Sijuade in the matter today. The members of the NASU had initially threatened to come out in ‘flying colours’ on Tuesday should the Management fail to listen to their demands. This was in reaction to the Circular by the University Registrar directing the Union members to return to their work places next week Tuesday of face disciplinary measures. The Ooni of Ife in a meeting involving both parties this afternoon (Saturday, 18th July, 2015) sued for peace after listening to the University Management whose team was led by the Vice Chancellor himself and also the NASU led by her Chairman, Comrade Wole Odewumi. 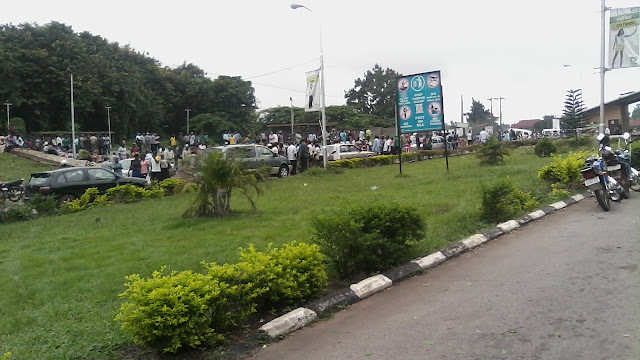 Despite the appalling reputation of Obafemi Awolowo University of being a school prone to frequent strike actions, thousands still register and sit for the university's post utme. This year does not promise to be an exception as many have sought for forms to register. Among these are predegree students who really have to sit for the examination before they are given admission. Several dates have been speculated, the most rampant and recent being the 8th and 22nd of August 2015. However, the school website, at the time of compiling this report, had nothing relating to the sales of Post Utme forms. This comes as predegree students prepare to write their final examinations from the 21st to 25th of July. It is advised that prospective students stay calm and wait for the school to officially announce the sales of form rather than risk falling into the hands of dubious people. Stay glued to oaupeeps.com for more updates. The entire management and team of OAU Peeps News Agency hereby congratulate the entire muslim community on the successful completion of their fast as Ramadan, the holy month, comes to an end.Barka de Sallah. 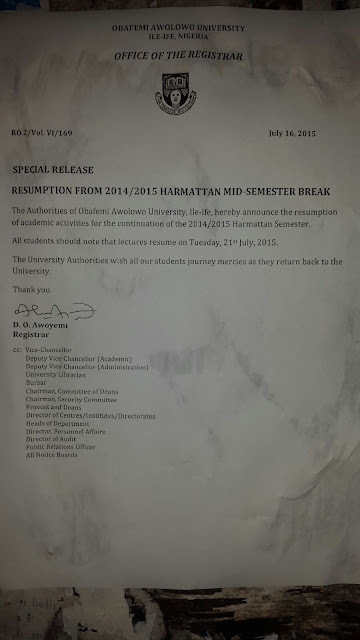 The management of the Obafemi Awolowo has announced the resumption date of the 2014/2015 Harmattan mid-semester break. 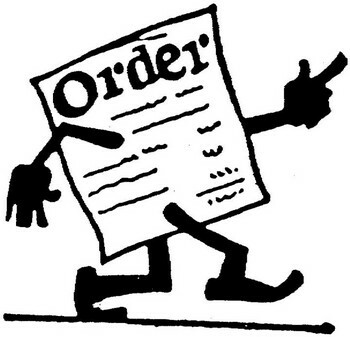 The resumption has been stated for Tuesday, 21st July, 2015. The General Superintendent of the Deeper Christian Life Ministries, Pastor W. F. Kumuyi is expected in the ancient town of Ile-Ife in Osun state for a 2-day crusade starting on Tuesday, next week.Kumuyi’s coming to Ile-Ife is a long anticipated one as he was expected early in the year in Ife. The crusade has been themed: Total Liberation for the Total ManThe 2-day programme will be featuring salvation from sin, healing from all sicknesses, deliverance from satanic oppression and lots more.The venue of the programme is Oduduwa College, Ile-Ife. Date: Tuesday, 21st July, 2015 by 4pm and on Wednesday, 22nd July, 2015.You are enjoined to come for your interminable freedom. You must be there with your prayer requests. 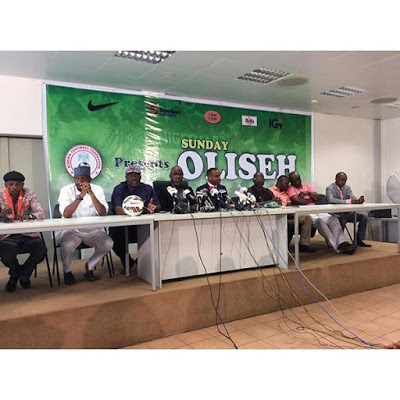 The Nigerian Football Federation, NFF has today officially unveiled former player, Sunday Oliseh as the new national football team head coach after signing a new contract in Abuja.Oliseh takes over from the much embattled and sacked coach, Stephen Keshi. The Federal Government has declared July 17 and 20, 2015 as public holidays to the mark sallah celebration.The Permanent Secretary, Ministry of Interior, Abubakar Magaji who made the declaration on Tuesday in Abuja, enjoined all Muslim faithful and Nigerians in general to extend the spiritual benefits of Ramadan, which include love, peace and sacrifice for the development of the nation.He also urged Nigerians to support the administration of President Muhammadu Buhari “in his determination and sustained efforts towards building a peaceful, united and virile nation.”Magaji further urged all Nigerians, both at home and abroad to use the occasion to pray for peace and unity across the nation.The Permanent Secretary wished Nigerians a happy and joyous celebration. 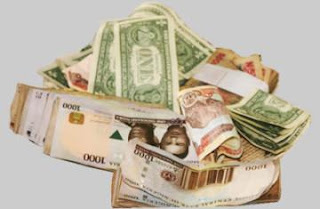 The naira hit another record low of 241 against the dollar at the parallel market on Monday as the Central Bank of Nigeria’s restrictions on foreign exchange sale fuelled unofficial trade in dollars, Reuters reported. The ban on importers from accessing the Nigerian foreign exchange markets for the importation of 41 items had led to the volatility of the naira-dollar exchange rate at the black market. Since June 23 when the new forex rule became operational, the naira has fallen by 10.5 per cent from 218 to 241 against the greenback. Foreign exchange dealers said the artificial scarcity of the United States currency still pervaded the market. Economic analysts had said the CBN needed to devalue the naira to allow the local currency achieve an equilibrium price against the dollar. 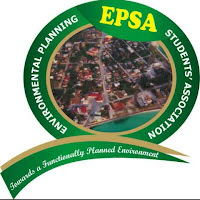 The association body for students of urban and Regional Planning students in OAU, Environmental Planning Students Association (EPSA) is rocked with crisis over the eligibility of a candidate vying for the post of Vice president. The department witnessed a shock move by some students of the department who are in their third year as they vowed not to vote and boycott the election that was held on Tuesday, July 7, 2015. There has been lots of argument in the department among students over the eligibility of a Vice Presidential aspirant. Some are of the opinion that anyone from the Part 2 constituency is eligible. However, the students who boycotted the election claim the post of the Vice President for the association should only be open to a part 3 or a part 5 student. Amid tons of thorny grounds was it that the National Association of English and Literary Studies (NASELS), Obafemi Awolowo University Ile Ife, found a pore to plummet a happy moment for the ongoing NASU strike has paralysed almost everything on the campus. 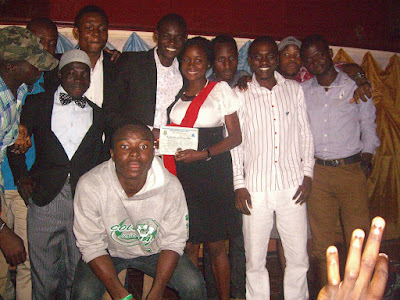 The department had her annual award night, a night ago albeit there was not much turn up as expected for plenty off campus could not made their ways in due to the school gates which were shot but few that came testified it was filled with fun from the beginning to the end. Many talented artists were present to perform during the party. The artistes include Emmanuel, Omo mummy just to mention few. Dancers including Mo Slim dance group also performed. Poem was recited by Jodekss Gloatkenf; just to mention few things that took place at the level of AUD II. The Non Academic Staff Union (NASU), Obafemi Awolowo University chapter has done nothing less pertaining to her ongoing struggle even as the university management ordered students out of their halls of residence for mid-semester break. Members of NASU from other universities stormed OAU yesterday to pledge their solidarity to the Union over their fight for the unpaid 64 months hazard allowance they are been owned. Buses from schools like Ladoke Akintola University of Technology, Osun State University among others with their members were seen at the main gate of the school on Monday. Even though the Road one gate was not totally locked down, no vehicle was allowed into and outside the university. The Australian Ambassador to Nigeria, Mr. Jonathan Richardson, has expressed the readiness of his home government to partner with the Obafemi Awolowo University, Ile-Ife, in the areas of Agriculture and Mining. Mr. Richardson said this when he paid a courtesy visit to the Vice-Chancellor of the Institution, Professor Bamitale Omole, in his office. The Ambassador emphasized the importance of OAU to the overall success of the programme, believing that the 1,240 hectares of land on which the OAU Teaching and Research Farm sits could be of judicious use for the implementation of mechanized farming that would further boost food production. He commended the University management for having a curriculum that made it compulsory for all part four (IV) students in the Faculty of Agriculture to be on the Farm, thus exposing them to the beauty and gains of farming, thereby sharpening their entrepreneurial skills. 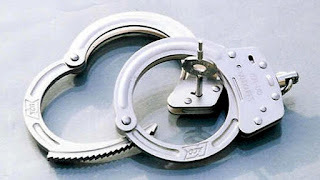 It was during the odd hours of the day when everyone wss asleep that an alleged thief got nabbed at the popular Anglo-Moz car park after he has been pursued by some conscious residents of Awolowo hall. 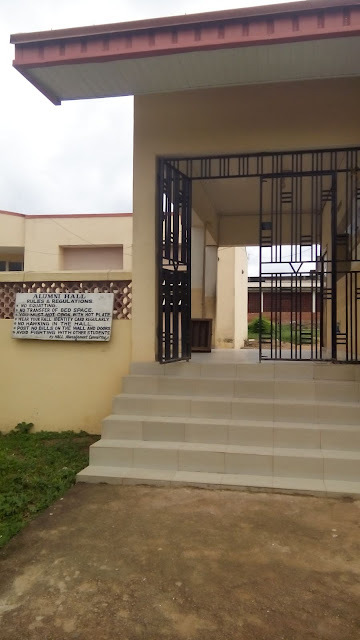 The alleged thief was said to have entered a room in Awolowo hall, precisely block 2, room 103 where everywhere was dark due to the power blackout and almost all the room members were asleep. According to an account, his attempt was quickly noticed as a member of room who was not in a deep woke up to notice someone dragging his phone with him. On noticing that the owner of the phone was awake, the suspect fled. 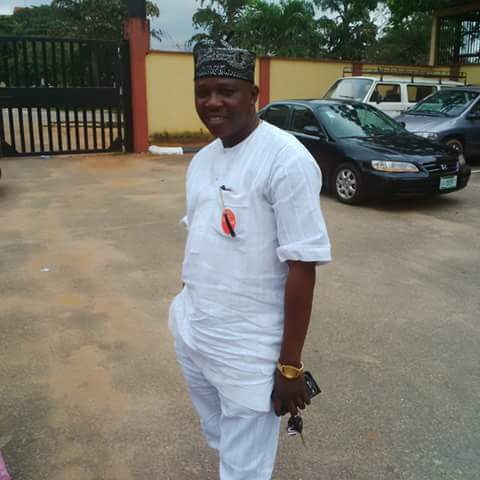 The phone owner reportedly gave him a hot chase as the alleged thief fled through Awo Annex. The owner kept on shout of Ole, Ole, Ole (Thief, Thief, Thief) so as to keep other students aware of the person been chased until he was eventually caught. As part of plans to widen the horizon of the leading OAU campus news portal, OAU Peeps News Agency has recruited new members into the media outfit. Out of more than sixty (60) interested applicants that indicated interest and applied to join the agency during the recruitment exercise, only twelve (12) excelled extraordinarily by passing the test and interview conducted and also meeting virtually all the set conditions, hence, eventually recruited. 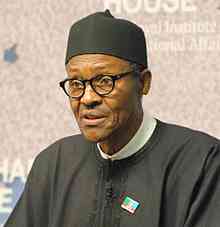 President Mohammadu Buhari on Monday sacked and replaced the country’s Service Chiefs. Major-General Babagana Monguno (rtd.) – National Security Adviser. 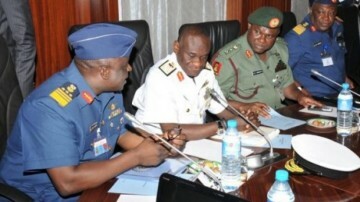 President Muhammadu Buhari on Monday relieved the nation’s service chiefs of their appointments. Special Adviser to the President on Media and Publicity, Mr. Femi Adesina, said this while speaking to State House correspondents on Monday.Adesina, who did not give more details, added that the Presidency was preparing a statement on the sacking, which would be made available to newsmen.Their replacements had neither been named as of the time of writing this report.There has been an escalation in terror attacks by Boko Haram militants in the country in recent times, leading to the killing of more than 500 people in less than four weeks. After their first round exit at the just concluded 2015 FIFA women's world cup in Canada, Nigeria's super falcons have stepped up the ladder in global ranking. In the recent ranking released on Friday, the African champions made a landmark by climbing four places up to occupy the 29th place in the world. Continentally, the super falcons got a total of 1633 in the month of March till date and remained the best in Africa while the indomitable lioness of Cameroon overtook Ghana in second spot rising up 10 places to 43. Furthermore, the black Queens of Ghana are presently 3rd on the continental log unmoved in 52nd and Equitorial Guinea remain fourth in number 55 while South Africa moved a place up to 59 in fifth spot and Cote d'ivoire remain 67th in the world. The next FIFA ranking for women will be published on 19th December, 2015. 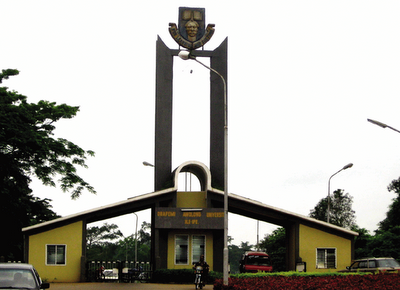 The management of Obafemi Awolowo University has declared a mid-semester break when students are expected to vacate the university community for a period of time yet to be communicated. This was part of the resolutions of the management following an emergency senate that held on Sunday to review the current campus situation. 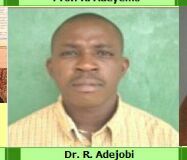 The Financial Secretary of the Obafemi Awolowo University Students’ Union, Olajide Gabriel Ayodeji a.k.a AY SUG has called on Great Ife students to swiftly come to the rescue of the Union following the failure of the outgone leaders to transfer the account of the Union to the current leadership. Following the breakdown of the second handing over event which was facilitated by probe committee, the SU financial secretary could not hide his feelings as he expressed frustration over the non-successful transfer of the Union account all these while. AY SUG who spoke with our correspondent yesterday believes the former SU president, Ibikunle Motunrayo and the former Financial Secretary, Awoyemi Omolayo Sogo a.k.a Comrade Oye have committed an aberration by not honouring the invitation of the Probe Committee to yesterday’s event. What many observers of the Union politics has termed ‘do me, I do you’ played out yesterday at the level of Awolowo hall cafe as the outgone Students’ Union leadership led by Ibikunle failed to turn up for the hand over meeting organized by the probe committee. 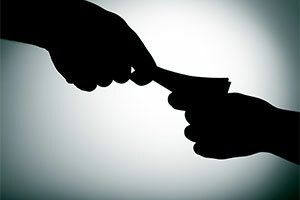 The handing over was billed for 12:00pm on Saturday, July 11 and out of the previous nine (9) Central Executive Council members, only the former Secretary General, Shittu Omotayo a.k.a SI Unit was on ground to answer questions as to why his colleagues have refused to honour the invitation given to them. SI Unit said the reason why the other former executives were not around was because no invitation was sent to them by the current Union leadership to come for handing over. Serena Williams has defeated Garbine Muguruza 6-4, 6-4 to win her 6th Wimbledon Championship and her 21st Grand Slam title.Congratulations!